The Liberty announced on Tuesday that Katie Smith has been promoted to associate head coach and Teresa Weatherspoon will oversee the Liberty Basketball Academy. Smith, who is in her third season with the team, had been an assistant coach since 2014. Weatherspoon will oversee youth instructional programs and camps, and will continue in her role as director of player development. Weatherspoon is in her second season as director of player development. 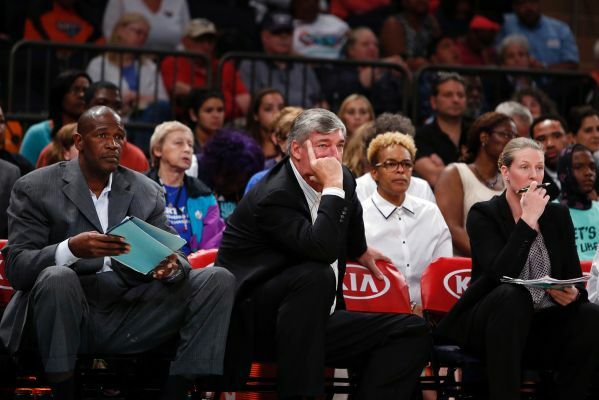 Liberty coach Bill Laimbeer will also have Herb Williams back as an assistant coach. Smith played 15 seasons in the WNBA, and Weatherspoon is a Women’s Basketball Hall of Famer. Williams played 18 seasons in the NBA and spent 11 seasons on the coaching staff of the Knicks. The Liberty also announced Rosemary Ragle has been named head athletic trainer. Ragle had been the head athletic trainer for the University of Connecticut women’s basketball team since 1999. The Liberty had a franchise-record 23-11 mark last season, finishing first in the Eastern Conference for the first time since 2002.